FPMT is happy to present a variety of interactive media for exploration into Tibetan Buddhist teachings, our organization, and the dharma. FPMT Audio broadcasts an ongoing series of Tibetan Buddhist teachings presented by our teachers that are available for download. 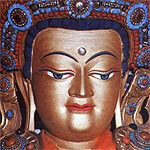 Access teachings and video resources of Lama Zopa Rinpoche. 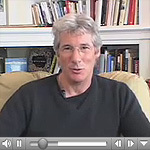 Preview our popular 13 part video series Discovering Buddhism, introduced by Richard Gere and Keanu Reeves. 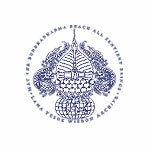 Learn more about the history of the Foundation for the Preservation of the Mahayana Tradition. Enjoy browsing our extensive FPMT photo galleries including: His Holiness the Dalai Lama, Lama Thubten Yeshe, Lama Zopa Rinpoche, and Osel. View photos by album, or use our tools to search for specific people or subjects. Publications from the FPMT include those published by FPMT Education Services, Lama Yeshe Wisdom Archive, Wisdom Publications, and a variety of international publishers. Find volunteer and job opportunities in FPMT. Join our mailing lists. Consult the Tibetan lunar calendar for various activities and favorable days. Obtain mantras, prayers, and sutras on microfilm for the use of FPMT centers and projects.